For most Talent Acquisitionists like yourselves finding the purple squirrel and proceeding to the on – boarding stage is difficult but then losing talented folks is another challenge especially without knowing the reasons. As if this isn’t difficult enough; lately various organisations after selecting the right candidates are now also considering culture fit before on – boarding a candidate. Many companies take cultural fit in to account for the selection process to prevent candidates from quitting the job because of the company culture which is a concern and is absolutely valid which adds to the difficulty. While all of these aspects are important, finding out if a Candidate is the right a culture fit is difficult and to check whether this reason is a genuine one. 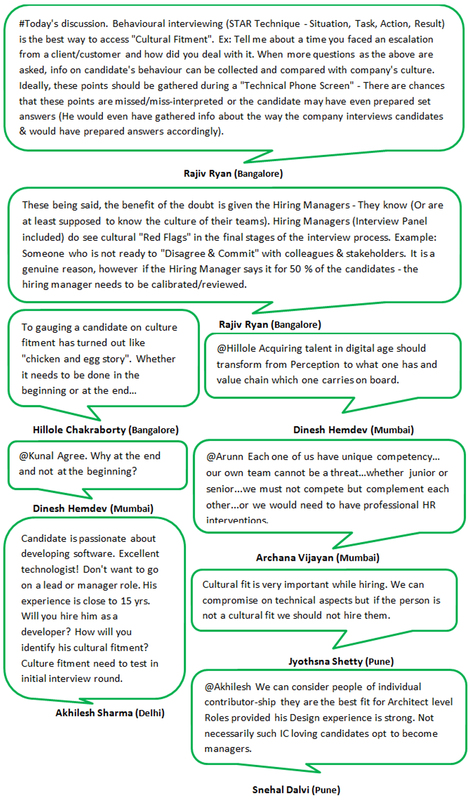 To shed some light on this we @SourcingAdda conduct discussions on these topics to assist Recruitment professionals in an attempt to simplify the process. 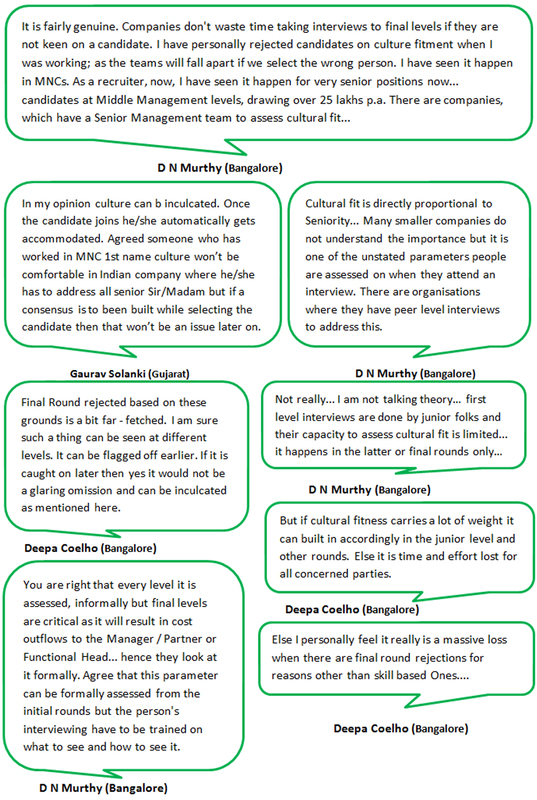 And thanks to one of our Bangalore group member’s Hillole who suggested we discuss about, “Candidate is rejected at the final round because of Cultural fitment issues. How far do you think this reason is a genuine one?” Therefore let’s find out more about this topic to help us be better prepared when making the next hire, so let’s begin…. 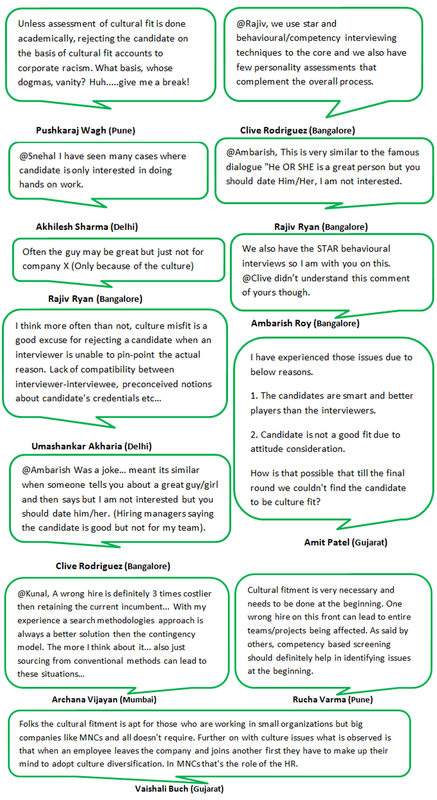 Finding the right candidate is no longer enough as now Talent Acquisitionists also need to check if the selecting candidate meets the culture fit as well? There are several reasons for such developments to name a few organisations losing talent folks as they are quitting the job due to work culture. Moreover candidates that aren’t the right culture fit or their attitude can impact the team’s overall performance. Even their behaviour, approach to work and their professionalism has an effect on the people around them can affect performance thus impacting the business’ growth. Utilising the Behavioural interviewing technique i.e. STAR Technique – Situation, Task, Action, Result is the best way to assess candidates for “Cultural Fitment.” For all of these reasons considering if a candidate is culture fit before on boarding them is important. Most Talent Acquisitionists are faced with the common challenge that is tracking and maintaining the Employee Referral Program. And when this particular task is automated it simplifies the task thus offers a perfect solution to the challenge. With a lot of work load; one is expected to multitask and being able to do it efficiently and effectively is not easy. Automating such tasks can make a world of a difference when you want to focus more on important tasks. In order to be able to automate such tasks you need to know which tools to utilise. With the correct tools at your disposal it can speed up the process and free up time to focus on the more important tasks once implemented. Noticing this we @SourcingAdda are constantly striving to bring you updated information about the recruitment industry that we’re both passionate about. In an attempt to do exactly that we bring you this information right from Talent Acquisitions within the field. And one such Bangalore group member is Gavin who suggested we discuss on, “Suggestions for some tools to automate the Employee Referral Program” Therefore we’re disclosing the chat for your review here below so let’s begin…. The discussion above although a short one is still informative due to the insights shared which mentions tools that can enable you to maintain referral programs successfully and spare time to get more important tasks done. With the perfect Employee referral Management Recruitment software you need not micromanaging it when you’ve got the tools that best suits your organisation’s needs. 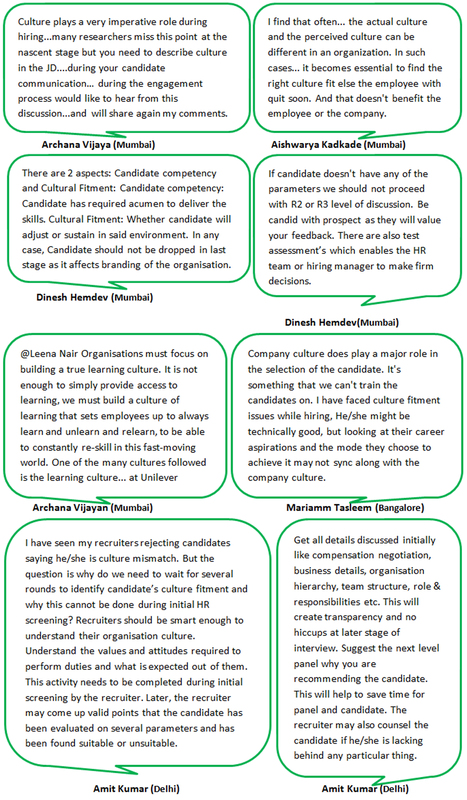 The Talent Acquisition Industry caters to Sourcing exceptional talent and ways to retain them once on – boarded. The task of Talent retention may seem to be a simple tasks it’s not so. It involves tracking the performance of on-boarded candidates. And whether it’s a small or medium sized company it becomes essential to ease the tracking process hence the need for a Performance Management System arises.